Szyszlo, Peter. (2017). 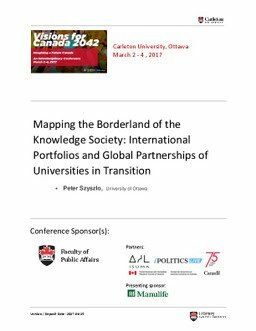 Mapping the Borderland of the Knowledge Society: International Portfolios and Global Partnerships of Universities in Transition. Presented at the Visions for Canada 2042: Imagining a Future Canada, Faculty of Public Affairs.